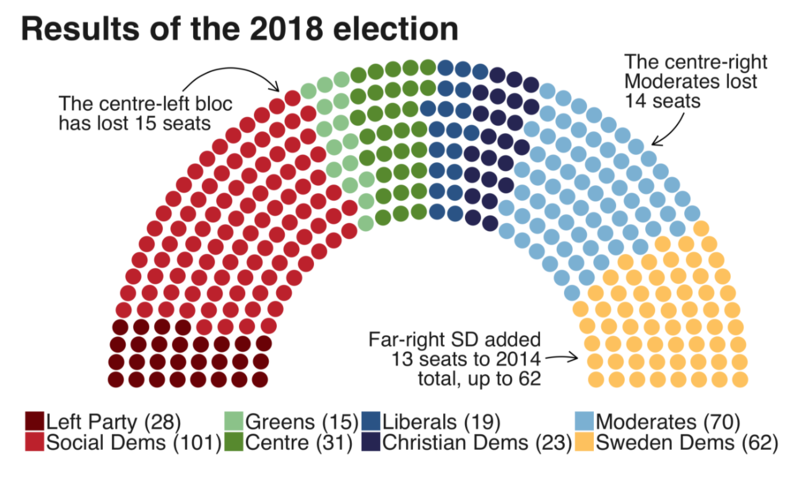 Yesterday we looked at the rise of the far-right in Sweden based on their electoral gains in this past weekend’s election. 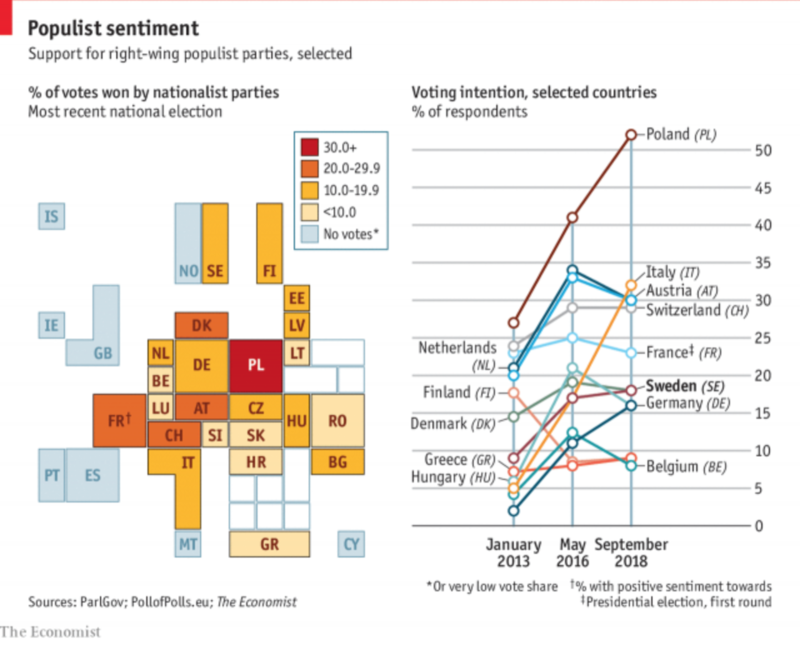 Today, the Economist has a piece detailing their strength throughout Europe and they claim that this type of nationalist party may have peaked. The graphic fascinates me because it appears to be a twist on the box or tile map, which is often used to eliminate or reduce the discrepancies in geographic size so that countries, states, or whatevers, can be examined more easily and more equitably. I think this kind of abstraction will grow on me over time. It is a clever solution to the age-old problem of how do we show important data in both Germany and Malta on a map when Malta is so geographically small it probably renders as only a few pixels. On the other hand, I am not loving the line chart to the right. I understand what it is doing and why. And even conceptually it works well to show the peaks of the parties. However, there are just a few too many lines and we get into the spaghettification of the chart. I might have labelled a far fewer number and let most sit at some neutral grey. Or, space permitting, a series of small multiples could have been used. The World Cup continues. Well for a few teams. Some have already been eliminated from the Round of 16. But for those Americans rooting for Team America, well, if you have not yet figured it out, you got knocked out well before the World Cup even started by…Panama. And so you are stuck in the question of who’s next? Thankfully FiveThirtyEight, in addition to their fantastic live probabilities that we looked at the other day, put together a little quiz to help you find your new team. Yep. Fantastic since I was just there in December and happened to love Stockholm. 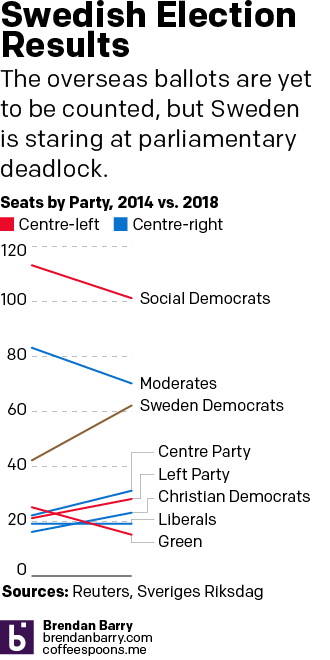 But what I love about this piece is how it uses data to create the newfound bond I have with Sweden. Often times you take a quiz and are given an answer without any sense of why the answer was correct. Here, FiveThirtyEight plots the seven different variables used to create your newfound personality and then shows you how you scored. It’s Friday, it’s the World Cup. Have a great weekend. 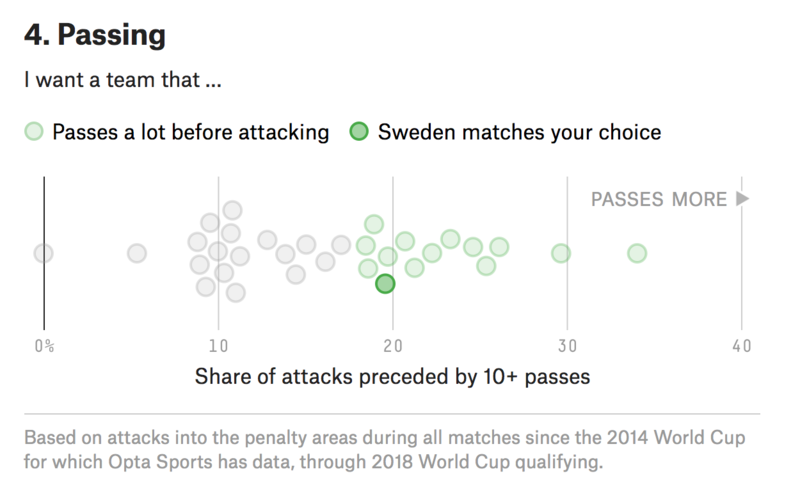 And in addition to England on Sunday, I’ll now be cheering for Sweden against Germany on Saturday. Credit for the piece goes to Michael Caley, Rachael Dottle, Geoff Foster, Gus Wezerek, Daniel Levitt, Emily Scherer, and Jorge Lawerta. Today you are going to get two posts. The first is this, which is a break from the week’s theme. But news stories happen. The second will be back to regular programming at the regular time. 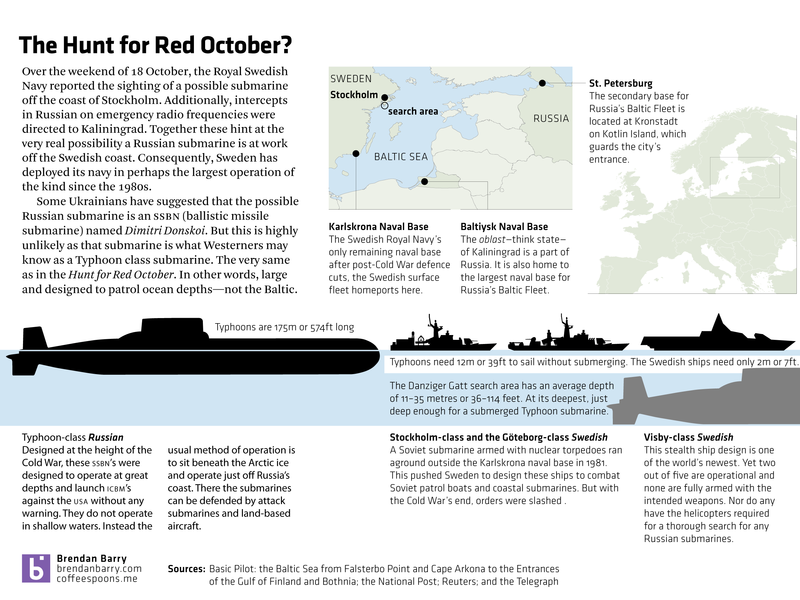 Basically, the Swedish government is reporting that a foreign submarine is operating within its waters and the available evidence points to Russia. I have seen some ridiculous claims that one of Russia’s largest submarines is in trouble there. But I highly doubt that. And here is why.